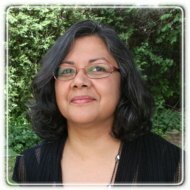 Ottawa Therapist: Sandra Bernard - Therapist K2H 8T5. Brainspotting - Good For Going Into The Subcortex Of The Brain (The Deepest Part Of Your Brain) And Processing Those Memories. When You Have Forgiven Someone But The Pain Of It Still Exists. Session Fees: Fees are fully or partially covered by most insurance providers including Sunlife and is a Registered Provider with Blue Cross. Sandra works at providing you with a safe environment where you can share your past and/or present concerns. Treating each person as an individual by listening to you. Whether you are younger or older, single or married you have a story. By sharing your story, she will help you explore where you came from, where you are now and where you want to go. She is informed by and uses the following: Emotion Focused (EFT), Brainspotting (BSP), Cognitive Behaviour (CBT) and Family Systems (FST). If you are dating and unsure of the relationship, you can get help to explore yourself and your relationship. When feel you don't have an unbiased person to talk to, OR you have been doing the same thing with little to no change, it may be time to ask for help. "I work very hard at listening to the underlying message(s) you may be unable to say and helping you to identify what your goals are for therapy and your life." She is accepted by most insurance companies including Sunlife and is a Registered Provider with Blue Cross.